Add all ingredients EXCEPT egg yolks and olive oil to pot. Slowly add olive oil to bowl a few drops at a time and vigorously whisk (or use mixer) until it is mayonnaise. After soup has boiled for 30 minutes, dish one ladle into mayonnaise and mix. Using strainer, strain broth into the bowl. Feel free to press and squeeze garlic a bit to get some of the extra juices out. Garnish with garlic/cheese toast, crispy French bread, parmesan cheese. 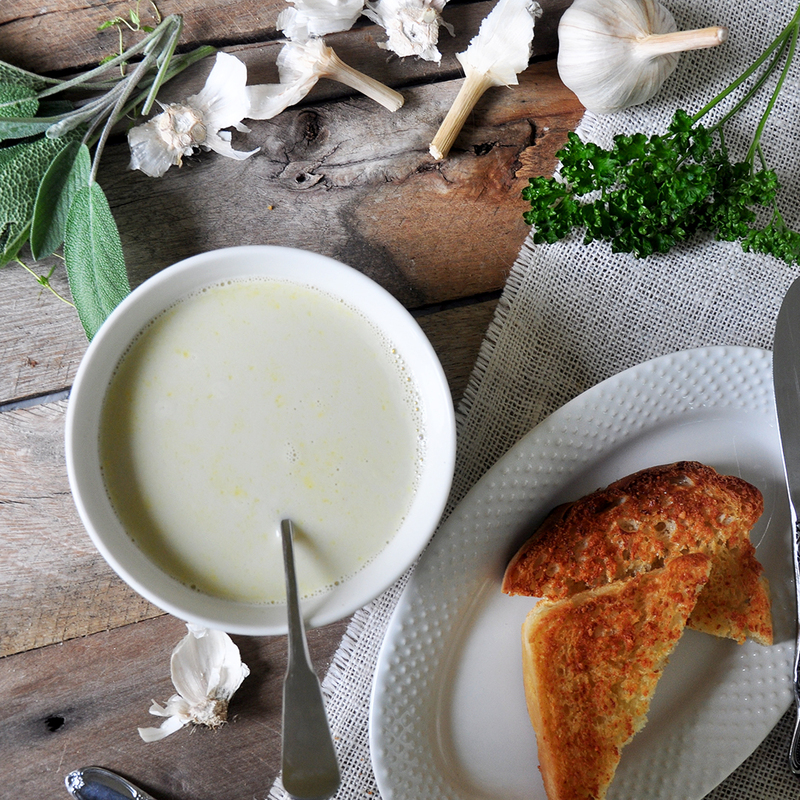 Julia Child knew how to make a Garlic Soup and this recipe is so restorative and tasty. 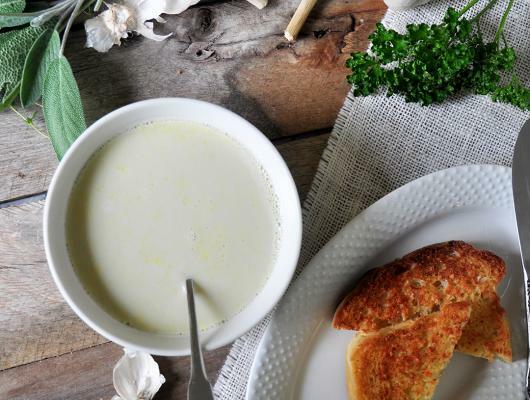 One of the more interesting things about this soup, traditionally called Aigo Bouido, is that it has a very creamy look and taste, but there is no dairy in it all. In fact, it is an herbal broth that is placed in a homemade mayonnaise. It is so tasty and a soup that is bound to make you feel good. A simple, elegant, classic French recipe.